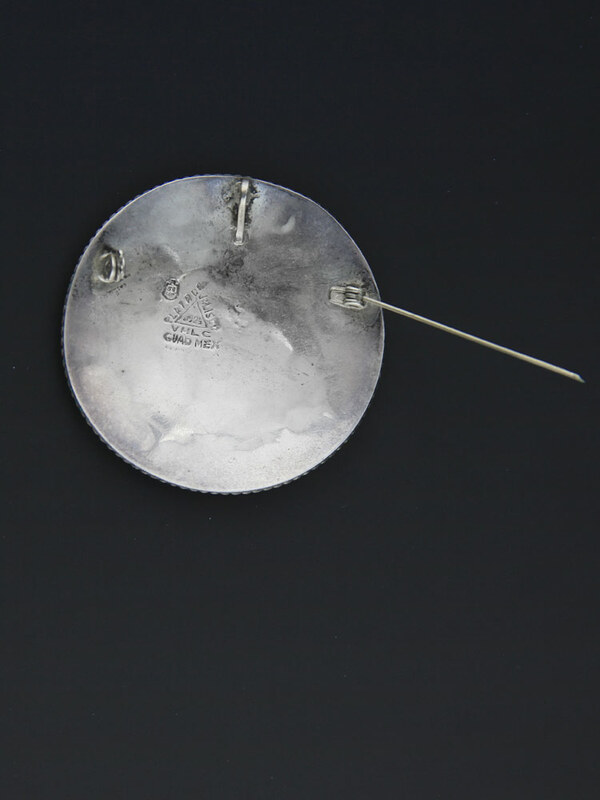 Lovely handcrafted, big Mexican sterling silver brooch with pendant loop if you would like to wear as a necklace. 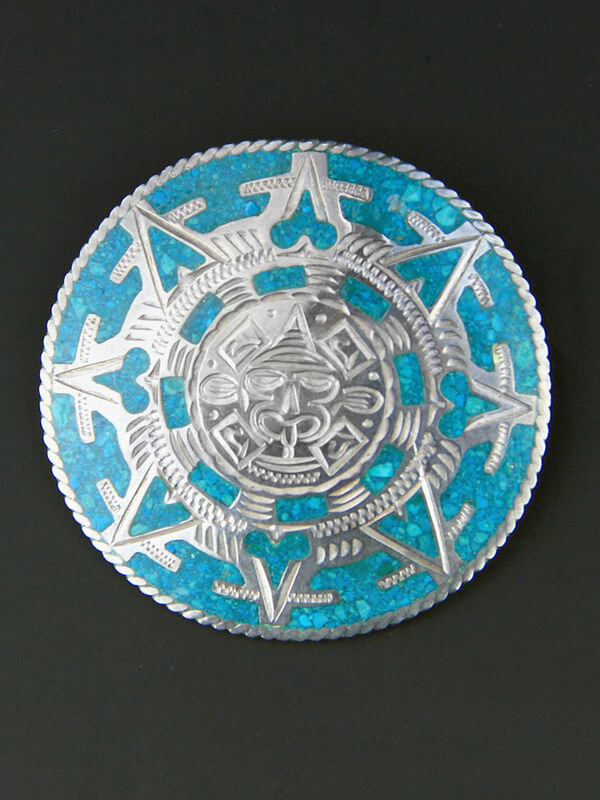 Crushed turquoise inlay with hand stamped pre-columbian stamped borders, made circa 60's - 70s, this is big gorgeous vintage brooch from Guadalajara. 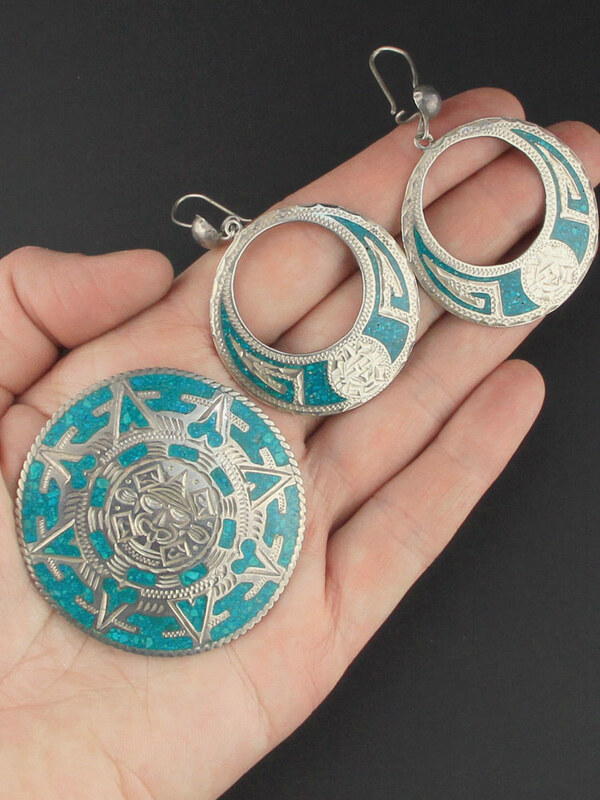 Please note the colour is most correct in the last photo, it is a very true turquoise colour and the last pic to give an indication of size and colour only - matching earrings available separately if you are interested. Spectacular vintage condition. Shows mild wear commensurate with age, there is a pin sized ding in the resin impossible to see without magnification, will come with some patina, as level of polish is a matter of taste. 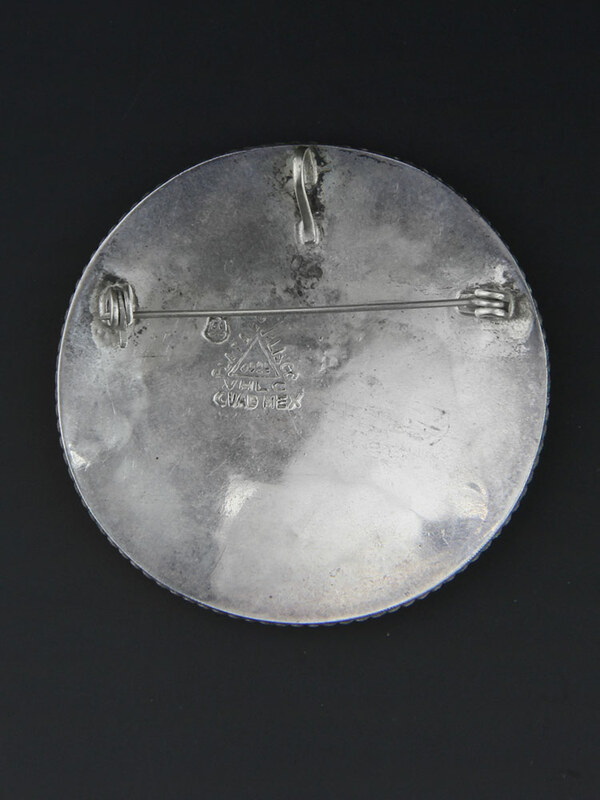 Has a handcrafted look to it - spectacular vintage condition.